Have you ever wanted to grow a food garden but didn’t know w here to start? 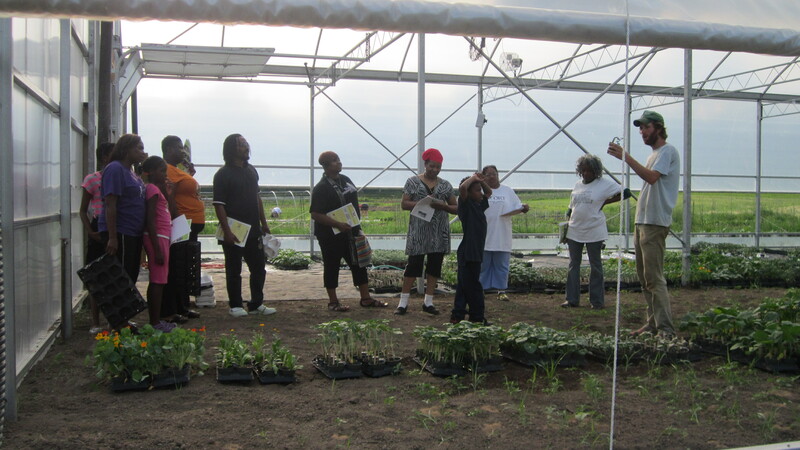 OKT offers a free food gardening workshop series twice this spring.. Classes are held Mondays 6 – 8 p.m. at Garfield Park Lodge, 334 Burton SE, Grand Rapids. Additional classes may be offered. Check here for details. OKT will also be offering free soil testing, gardening tools, starter food plants, garden coaches and compost to households involved in our gardening partnership with select Grand Rapids Public Schools classrooms. Gardeners picking up organic starter food plants from the greenhouse. I would love to have my own garden at my new house. I’ll know exactly what will be going into my kids bellies.